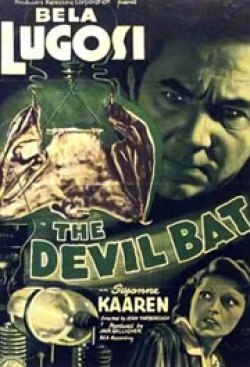 Huntington Public Access Television (Huntington Comcast 20) will be celebrating Halloween week with 4 vintage Bela Lugosi films. Lugosi, who at one time played Jesus Christ in a Hungarian passion play production, is best known as the actor who personified Bram Stoker's literary horror creation, "Dracula". His association with the role proved both a blessing and a curse -- bringing him cinematic fame while also cursing him with being typecast in genre roles that severely diminished his acting ability and eventually his career. Huntington Public Access TV's tribute to Lugosi's legacy of villainous roles will be represented by 1932's "White Zombie", and "Dark Eyes of London" (1939). Joining Martin and Lewis impersonators, Duke Mitchell and Sammy Petrillo, Lugosi resorts to self-parody in "Bela Lugosi Meets A Brooklyn Gorilla" (1952). Halloween weekend will feature "The Dungeon of Dr. Dreck" presentation of Lugosi's posthumous appearance in Edward D. Wood, Jr.'s notoriously inept "Plan 9 From Outer Space" (1959).